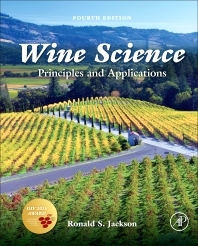 Wine Science, Fourth Edition, covers the three pillars of wine science: grape culture, wine production, and sensory evaluation. It discusses grape anatomy, physiology and evolution, wine geography, wine and health, and the scientific basis of food and wine combinations. It also covers topics not found in other enology or viticulture texts, including details on cork and oak, specialized wine making procedures, and historical origins of procedures. New to this edition are expanded coverage on micro-oxidation and the cool prefermentative maceration of red grapes; the nature of the weak fixation of aromatic compounds in wine – and the significance of their release upon bottle opening; new insights into flavor modification post bottle; the shelf-life of wine as part of wine aging; and winery wastewater management. Updated topics include precision viticulture, including GPS potentialities, organic matter in soil, grapevine pests and disease, and the history of wine production technology. This book is a valuable resource for grape growers, fermentation technologists; students of enology and viticulture, enologists, and viticulturalists.